“Turn your car engine off and marvel as a magic stone pulls the vehicle uphill. Magnetic Hill is located on the A27 between Ronague and the Round Table crossroads. 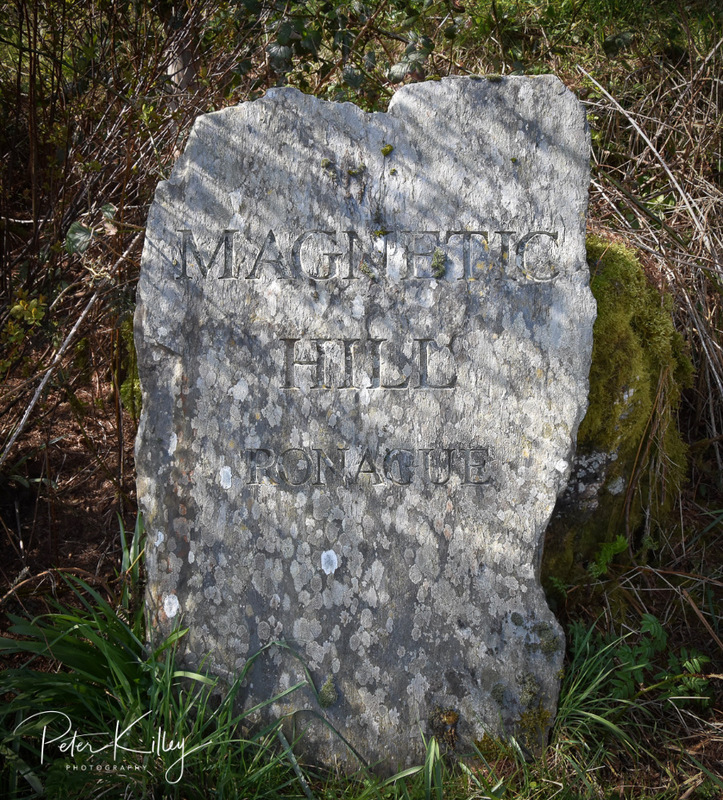 The slope is marked by this large stone on the roadside verge that is said to be part of a stone circle broken up a hundred years ago by a coven of witches”. Sorry for the poor quality of the image but it is quite difficult to make out the wording.